Definitely Mabey: Don't Shoot the Messengers - Change them! 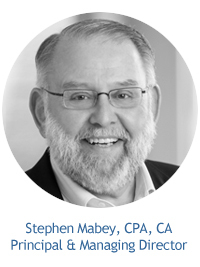 ~ Stephen Mabey ~ Applied Strategies, Inc.
Don't Shoot the Messengers – Change Them! The Altman Weil, Inc. 2018 Law Firms in Transition survey that was recently released contains a number of thoughtful insights including perhaps capturing the essence of why law firms are so slow to embrace necessary change. Basically, the proposition is that "threats" to the legal profession in the past have been driven by "known types of events," i.e. recession; societal change; legal rulings; etc. These known events could be dealt with through simple endurance and a belief that "this too will pass." The threats faced by law firms today, and really in recent years, seem to be driven in a sense by "unknown events." The greatest unknown of these threats is the evolution of technology over the past decade or more. The real game changer of late which is resulting in more and more "David versus Goliath" scenarios, artificial intelligence harnessed to make common sense. ...artificial intelligence harnessed to make common sense. While in the external world, you could make a case that these were in fact somewhat "known events" even if the legal profession did see the oncoming change "this too will pass" approach is neither nimble enough or sufficiently proactive to address these evolving events. The annual favourite, let's "cut our way to profitability" - by reducing expenses with no regard to the actual long-term impact on profitability. If you don't want to listen to me, I am taking my ball and going home. Let's follow the herd mentality. To bring balance in dealing with this issue, resistance to change in law firms is well documented and has legendary status. It is easy to take a penetrating look at the problem but much harder to try and be part of the solution. Sounds simple, right? Clearly, it isn't as this requires firm members to step outside of their comfort zones. Given the lack of progress in many firms and the resulting explanations for this lack of progress, there would seem to be no downside to changing up the messenger. So, why not create a platform for one of the following messengers at your next practice group meeting, partners’ meeting, or retreat? A booth - where local technology developers can come in to demonstrate both existing software and projects under development and discuss what projects they see on the horizon. The above sounds crazy to many I expect, but clearly, the status quo is not conducive to ensuring financial health in the medium to the long term for most firms. "You are free to make whatever choice you want, but you are not free from the consequences of the choice."